Clearwater Montana Properties was chosen as the exclusive broker participant in Montana with Cabela’s Trophy Properties in 2007. Cabela’s sold this very successful real estate venture to Sports Afield in 2014. Our affiliation with Sports Afield Trophy Properties® (SATP) has been one of the biggest game changers in real estate for our regions. Clearwater Properties is proud to participate with SATP in all our regions and territories. Since 1887, the iconic “Sports Afield” name has been synonymous with outdoor recreation and conservation, which not only aligns with our mission, but also greatly magnifies our marketing reach. 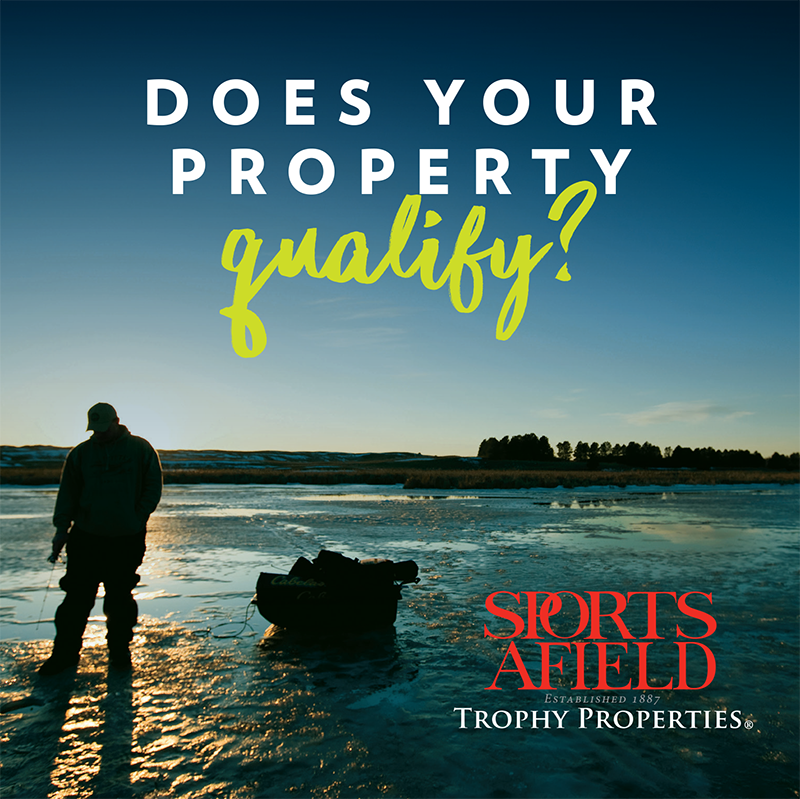 What is Sports Afield Trophy Properties®? SATP unlocks a vast, global network of gold-class brokers and buyers, including worldwide listing exposure via its own website, syndication to 700 other farm, ranch, and recreational websites, and “Sports Afield,” America’s oldest outdoors magazine. Sports Afield Trophy Properties® advertises recreational properties for sale by independent participating real estate brokers. If your passions are hunting, fishing, boating, hiking or equestrian sports, or you are just looking to purchase property in the great outdoors as an investment, Clearwater’s participating brokers can help you find the property of your dreams. These brokers are recreational real estate specialists. They live, breathe and understand the outdoors. They specialize in hunting, fishing and outdoor recreation, so they have a deep understanding of the value of habitat, wildlife, water and all aspects of good land stewardship. All participating brokers have completed a detailed application and interview process to be included in the Sports Afield network of independent real estate professionals. They must adhere to Sports Afield’s core values of superior customer service, integrity and honesty, quality products and services, respect for individuals and excellence in performance. Participating brokers understand the value of land and how to suggest listing prices and what a seller might expect to receive for their property. They also know how to get financing for the buyers and have access to lenders.